Presence on the internet is a great way to gain free publicity, no matter what line of business you are in. Google’s business directory is one of the best places for this – and here is how you can start drawing new, local customers in a matter of weeks. Google My Business is penned as a free and easy-to-use tool for businesses to manage their online presence. By offering a cohesive approach across all Google assets including Search and Maps functions, you can help customers to find your business and tell them all about it at the same time. Google My Business can help you identify and connect with local influencers, as well as ensuring that you are making the most of your Insights. It is an intuitive tool that offers extra advice and ideas for businesses looking to attract local custom using online initiatives. Long ago, Google stopped being just a search engine company and spread its wings across the digital landscape. In the process, it became the most powerful advertising platform ever invented, offering a lot of synergy by promoting your business on different platforms simultaneously. You probably already know a bit about search page marketing and AdWords, so it may be the time to think about adding Google My Business to your arsenal of tricks. We’ve produced a Local SEO checklist for new websites, so make sure you stop by and follow through all the steps. Just like with any other online service, the first action you need to take if you want to join Google is to open an account. Of course, this is a Google-owned property, so if you already have a login for any other service from the same family (Gmail or YouTube, for example), you can use this username and password. Alternatively, you can create a brand new account specifically for this purpose – just look for the clearly marked ‘Sign Up’ button on the login page and follow the instructions. The next step is to setup a page for your company, presenting your advantages in a succinct format and featuring contact information. Again, if you already had a business page in Google Places, it could be automatically recreated here, though it is definitely wise to thoroughly check it up before continuing. To create a new page, you need to fill out a form asking for information such as location, telephone number, street address, postal number, website URL, etc. Keep in mind that Google has mechanisms for weeding out pages with false information and enter only accurate data into the form. After you finish filling out all required fields, you need to click the ‘Submit’ button to complete this stage of your application. Before your page goes live, you will have to undergo a verification procedure designed to ensure high reliability of the entire directory. 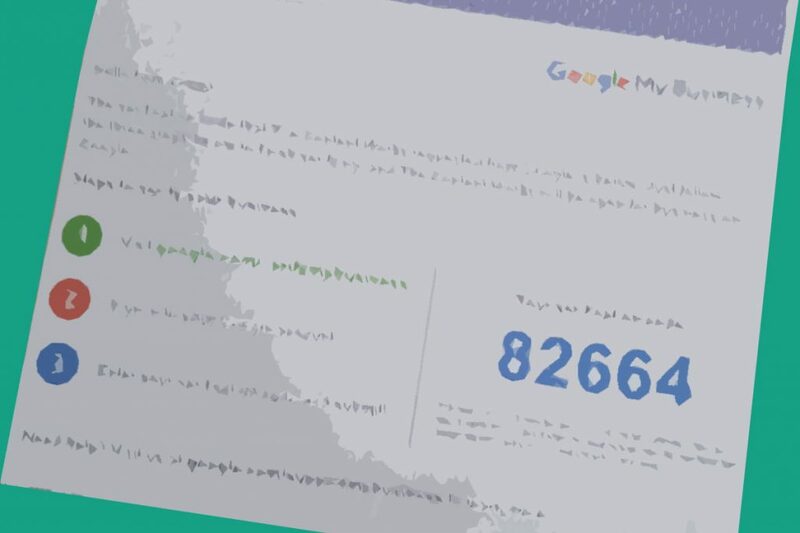 Google will send you a physical postcard containing precise instructions how to proceed, ensuring that spammers and dishonest providers will be removed from the service. Your page will become active and accessible to local customers only after you complete all the required actions described on the card. It usually takes between 2 and 3 weeks for the verification to be completed (before the postcard arrives), and you would be wise to take this delay into account if you are planning a campaign. Once you are added to the directory, your page will become visible on all Google-related online platforms and suggested to users seeking similar services in the area. Of course, nothing is set in stone and Google could decide to downgrade or delete your listing if some of the stated info turns out to be incorrect – so double check everything before submitting and use only official phone/numbers and addresses. Once your business is listed on Google My Business (formerly Google+ Local), customers located in the vicinity will be able to discover it easier via one of the available platforms controlled by the company. Listings from this directory are usually displayed above normal search results, and the link comes with handy details such as location on the map and street address, empowering the user to make contact without any further research. By clicking on the listing, the user can open the full page and find directions, look at photos or read reviews from other users. Since this platform is free to use, it can’t be overstated how much value it can create for an up-and-coming company, especially at a time when everything is going mobile. Google My Business is enabling real-time interaction with potential customers and that opens up a whole new channel for attracting and retaining customers. You could think about Google My Business as the 21st century Yellow Pages, only with far more interactive potential and a lot less browsing. There is simply no excuse to be left out, especially since you don’t need any technical knowledge to get started. ← What are Internal Links (And Do You Need Them)?